for crepe-tape bound closure on paper bags. 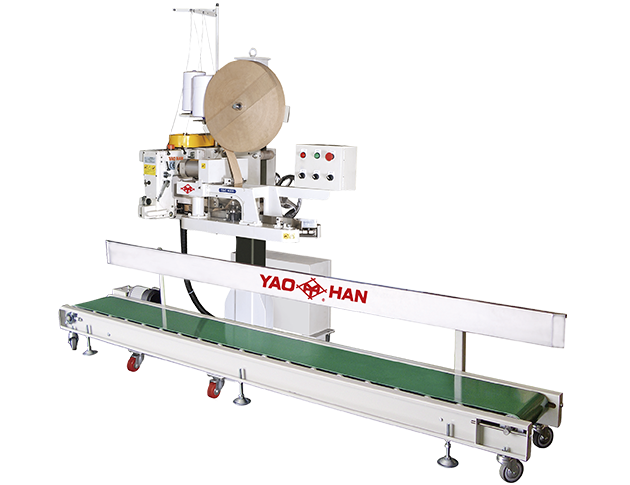 Photo-eletric start binding, stitching, paper tape snipping and thread cutting can be finished automatically. Designed for automatic production line with auto-ration filling machine and conveyor.